On 3 May 1996, the Bell 206B JetRanger III c/n 4413 was registered C-FYDH in Canada with Textron Canada. On 3 July 1996, registration C-FYDH was cancelled as exported to Austria. In July 1996, the helicopter was registered OE-BXR in Austria with Bundesministerium für Inneres, Flugpolizei, Wien, and operated with the Austrian Police. In February 2010, registration OE-BXR was cancelled as exported to Germany. 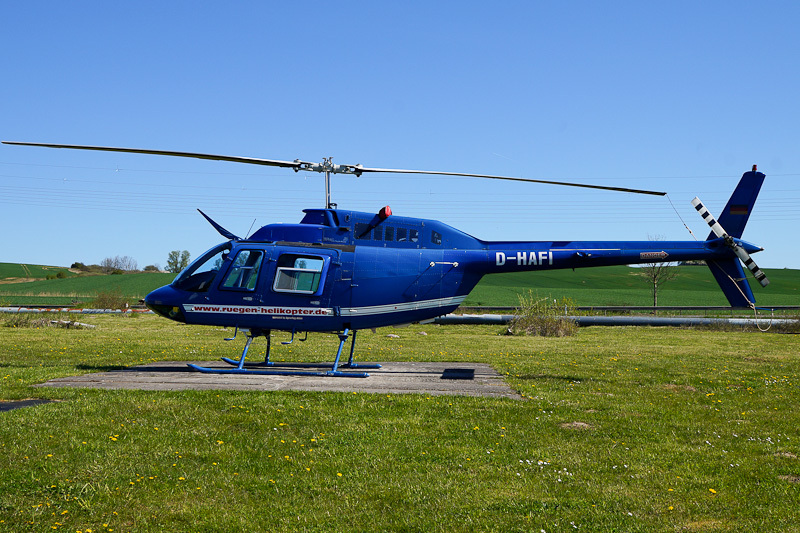 On 16 April 2010, the 1996-built Bell 206B JetRanger III was registered D-HAFI with Agrarflug Helilift, Ahlen. From late 2015 to June 2016, JetRanger III D-HAFI temporarily replaced JetRanger III D-HHMP in service with Rügen-Helikopter. On 5 May 2016, Bell 206B JetRanger III D-HAFI was seen with "www.ruegen-helikopter.de operated by Agrarflug Ahlen" titles at the Rügen-Helikopter' Sassnitz-Mukran heliport at the Isle of Rügen.